to know for the computer. Do you know the computer parts - peripheral devices? What computers do? 18 fun topics about computers. Move with arrows. Most popular operating systems. Sort the picture with the Random-access memory. Open two same cards with games one after another. Fun Online IT Games for Kids Collection. The IT for Kids games include all small flash applications - games, mosaics, tests and puzzles, from the Interactive Computer Tools, which may include useful and interesting knowledge, studied during the 6 grade school educational course in Informational Technology subject. 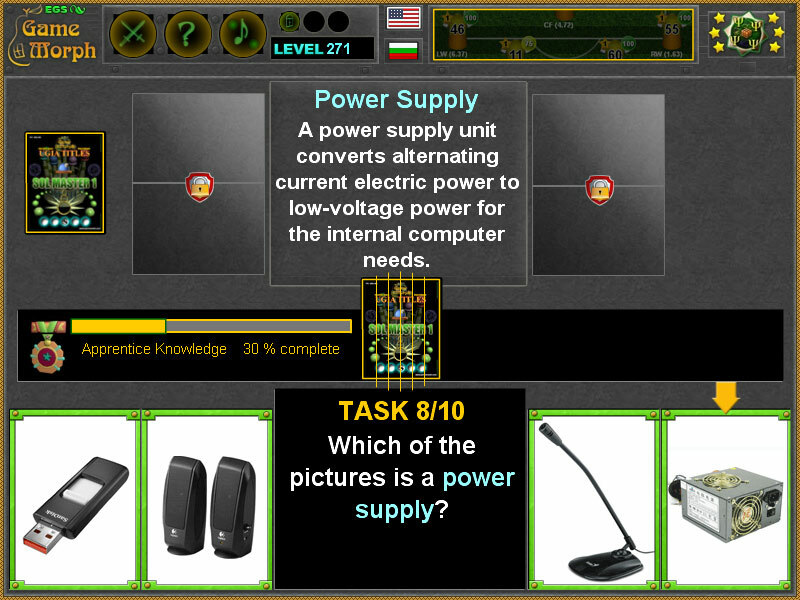 Small fun educational applications about computers and internet. Interactive Online Classes. 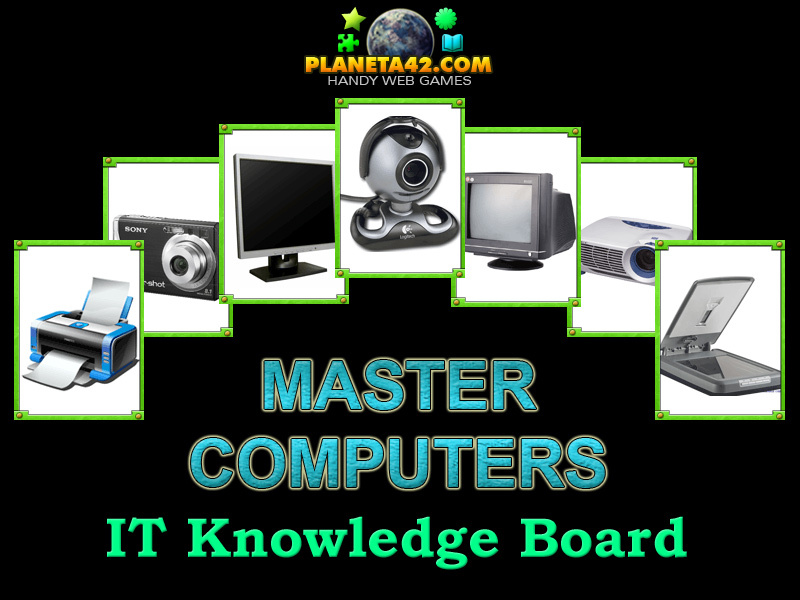 Fun Information Technology Games for Kids Collection. 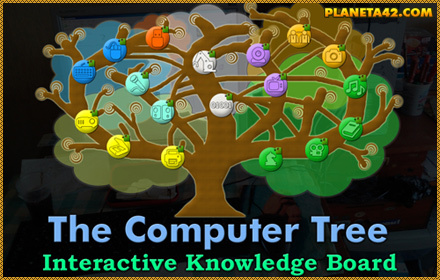 Computer Tree Mosaic - Learn what is the study of computers. Fun Mouse Types - Give every cat a mouse! Basic Computers Picture Test - Solve 10 questions easy online test. 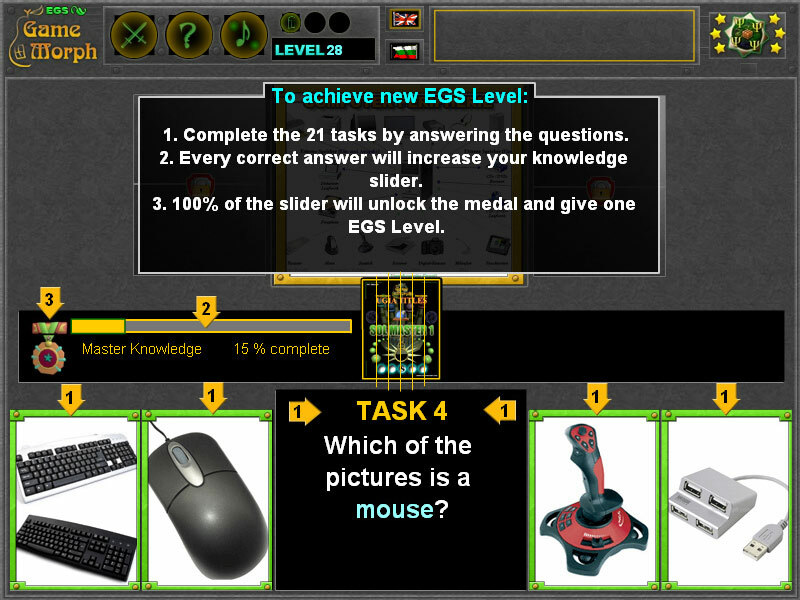 Master Computers Picture Test - Solve 10 questions easy online test. File Structure Game - Shoot file extensions to the right file. 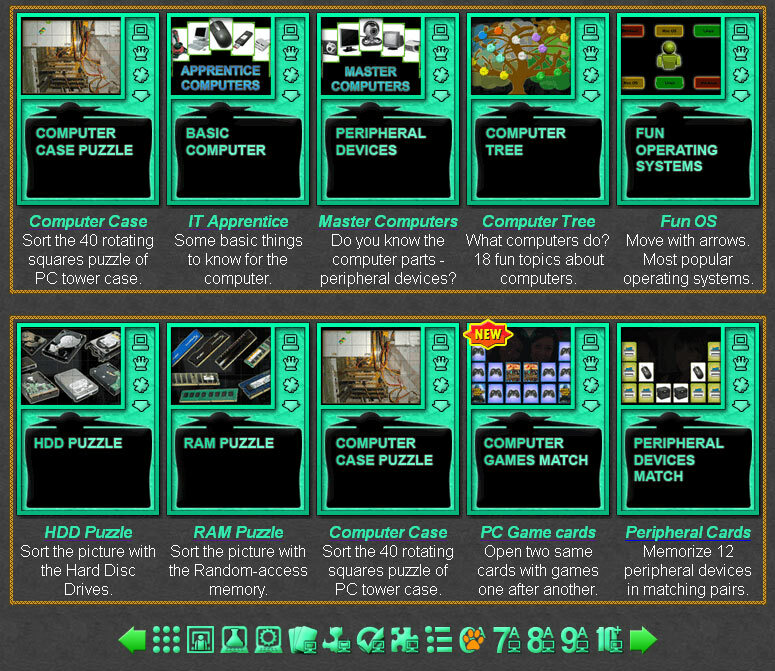 Fun Operating Systems Game - Pass the OS obstacles. HDD Puzzle - How do hard disks looks like. RAM Puzzle - How does RAM looks like. Computer Games Match - Fun matching pairs card game with Lili and friends. Peripheral Devices Match - Memorize 12 peripheral devices in matching pairs. Internet Puzzle - Learn the structure of the internet.